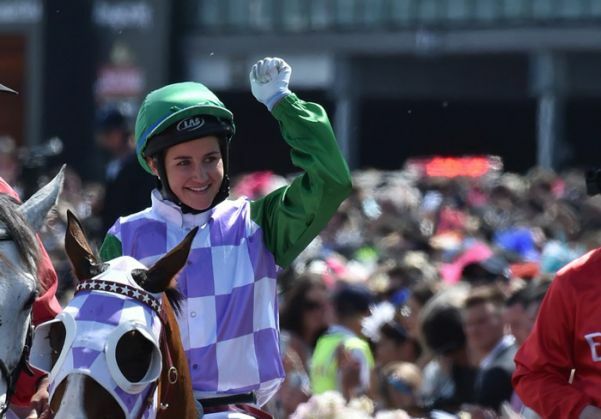 On 3 November, Michelle Payne became the first woman jockey to win the Melbourne Cup. Payne is the first female champion in the 155 year history of Australia's most prestigious thoroughbred horse race. Payne galloped to victory riding New Zealand-bred horse Prince of Penzance and upset several other favourites in the process at the Flemington Race Course. Max Dynamite, ridden by Frankie Dettori led for most parts of the race but owing to a late dash by Prince of Penzance, Payne won the race by three quarters of a length. Payne's horse only had 100-1 odds of winning. Speaking about her victory, she said, "It's like a dream come true, this horse is awesome. What he has been through, unbelievable training to get him here like this today. This is everybody's dream as a jockey in Australia and now probably the world." "My sister Margaret and I both had a feeling we would win this race. It's such a chauvinistic sport, a lot of the owners wanted to kick me off. Everyone else can get stuffed (who) think women aren't good enough." Payne's trainer Weir echoed her sentiments, "It's a lifetime dream come true, it's an unbelievable thing to happen to anyone. I couldn't thank her enough. What a beautiful ride and what a great family." The Melbourne Cup is marketed as "the race that stops a nation", and is one of the richest turf races in the world. Payne, born on 29 September, 1985 started horse riding at the age of 15. In March 2004, she fell at a race in Sandown Racecourse in Melbourne, fracturing her skull and bruising her brain. But she overcame this adversity to start racing professionally again. The Melbourne Cup is Payne's first major win since she won The Thousand Guineas at Caulfield in 2010.